To launch Edinburgh’s bid for Britain in Bloom this year, they have came up with an interesting idea for an ‘edible hedge’ to be planted in Pilrig Park! 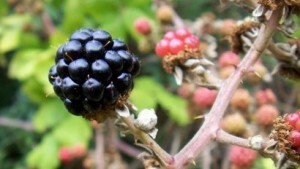 The ‘edible hedge’ will consist of specially picked plants, that will produce edible crops to help create local food such as jams, jellies and even chutneys. The particular varieties which are being planted are rosehips, sloes, crab apples, elder, rowan and hazel. Some of these I didn’t know existed! Pilrig Park School has cleverly produced a recipe book for using the ingredients which will be grown from the hedge, and will also encourage people within the local community to come by and help themselves to the ingredients to help make the recipes in the book. Better than going to your local supermarket if you ask me, you can’t get much fresher than that! A similar hedge was planted last year helping to reduce the amount of graffiti occurring around the community by almost 100, the council officials proudly announced. The scheme is a partnership project between the Edinburgh City Council and Greener Leith. Edinburgh has entered in the ‘Large City’ Category of the Britain in Bloom 2011 competition and will be competing against Bristol, Milton Keynes and the Borough of Brent (London). Well from everyone here at Anglian we wish them the best of luck and hope that their ‘edible hedge’ has what it takes to help them win the title! To find out more information about Anglian and the Britain in Bloom competition, feel free to click on the link. Anglian Home Improvements, formerly known as Anglian Windows, have been trading since 1966.